The inspiration for creating a piece of art often comes from artist’s own experience – most often it’s the everyday observation of the surrounding, but sometimes the inspiration comes from unexpected life events. For her work, Lyndi Sales finds inspiration in both, but her most striking art pieces come from the later. Events from her life that were both positive and negative, Sales takes the best from them and transforms it into beautiful installations. Although these installations can be abstract, they all have a certain story hidden in them – a story that gave birth to her art. Lyndi Sales takes the inspiration from her life and implements it in her work. Where will Sales find inspiration for her next art is hard to say. It can be her personal experience, but it can be something she simply encountered along the way. The crucial aspect is her intrigue with a certain subject. 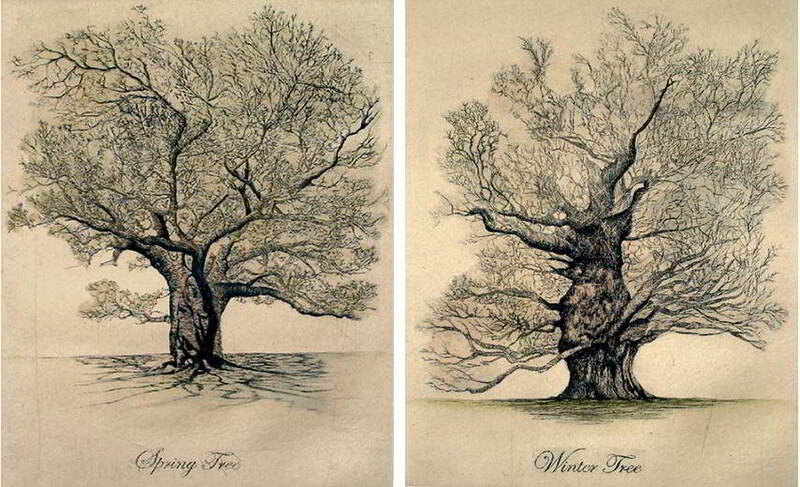 One such example is 17th-century botanical art. The complexity and simplicity of this 17th-century art was enough for her to create her own pieces. The work from this project has a vintage look, which is in the context of the original art that’s around 300 years old. 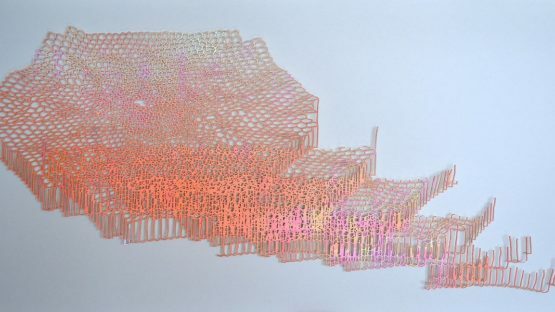 Using color paper and simple drawing, her technique adapts to the idea. Because of that, her work often has a distinctive „hommage“ element in it. In a certain way, her creations pay tribute to people, events, and art that had a strong impact on her as a person. Sales is able to combine the outside inspiration and her personal interpretation to find harmony in her work. In contrast to the previously mentioned art pieces, some of them are more personal than others. An example of this is the installation 159/295. 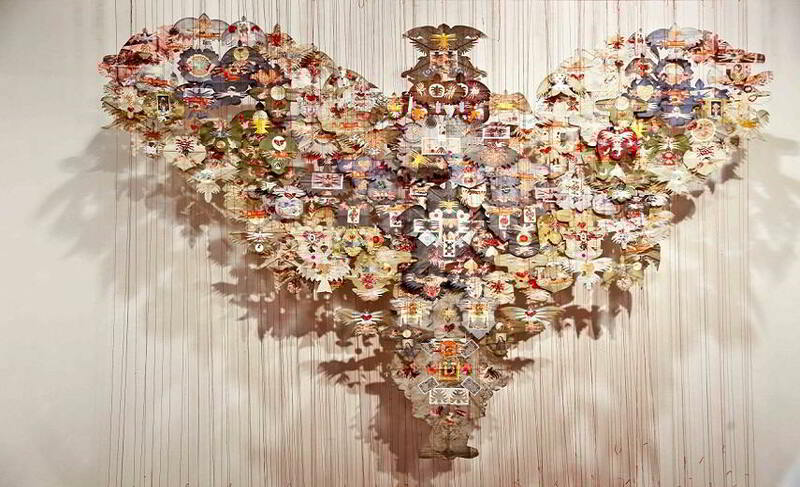 This interesting piece has a shape of a phoenix rising and it’s made out of 159 paper kites. Each one of these kites represents one of 159 people that were on the board of an airplane which fell into the Indian Ocean in 1987. The phoenix, of course, has its own role in this story. For the kites, Sales took the idea from Chinese ceremony of commemoration and longing towards the departed. Each kite is unique and made out of different paper – from coupons and cards to color paper. Through this specific art piece, Sales show the possibility of incorporating stories into art in a contextual way which reflects both on the past and the future. Sales reflects on the past through showing respect for the departed and on the future through showing the fragility of life, just like a simple piece of paper. 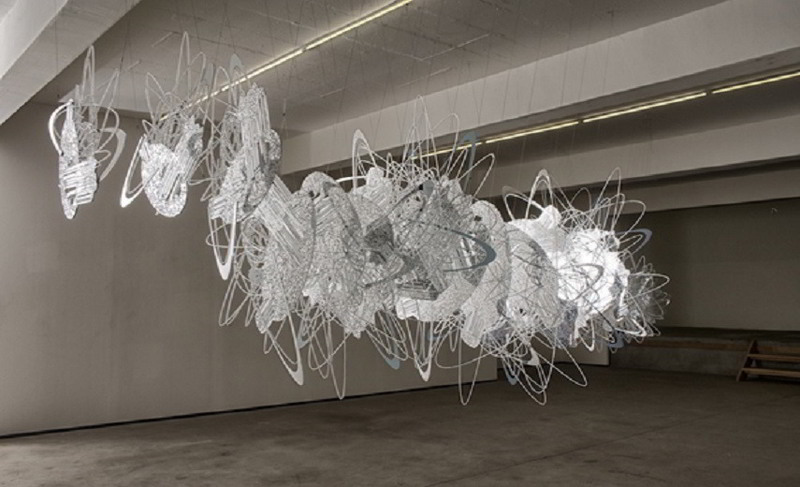 This installation isn’t the only one which she used to reflect on the Helderberg plane crash. 159/295 installation gives tribute to 159 victims of the 1987 airplane crash. Depending on Sales art pieces, some of them are easy, while others are harder to interpret. Nevertheless, her art is both delicate and honest and these two elements often are known to be provoking to the viewer. But the feature that separates her from other artists is the emotions she puts into her work. It’s not an aggressive provocation, it’s a caring provocation and its only purpose is to make the viewer more aware of life – both the beauty and the sorrow. Lyndi Sales lives and works in Cape Town, South Africa.